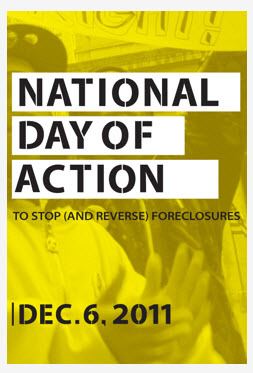 On this National Day Of Action To Stop And Reverse Foreclosures, I am collectively addressing you as representatives of the perpetrators in what may be “the worst bank foreclosure fraud in U.S. history”, and putting you on Notice Of My Intent To Reclaim the six properties in North Carolina and New York, effectively stolen in a collaborative corruption laden foreclosure fraud, aggregating $22 million in redeveloped fair market value, and $9 million in mortgage encumbrances. And know that your actions played a role in the death of my wife of 24 years (click here). Be advised these instances of bank foreclosure fraud were intolerably blatant and malicious, and were carried out at the behest of Morgan Stanley as cover-up to the MorganStanleyGate scandal. Moreover, the respective fraudulent conveyees have been duly notified that they are NOT the rightful owners, and that actions will be taken to reclaim these properties. As a matter of national interest with the Occupy Movement and its association with MorganStanleyGate, this is being widely disseminated to the media and appropriate authorities, and posted online at MorganStanleyGate.com – and you may click here to access this particular notice.